LINKS - M&E "Lehigh Limited"
The Morristown & Erie Railway is a freight carrier, serving four branches in northern New Jersey. 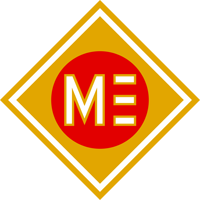 Visit the M&E's freight site at www.merail.com. The Morristown & Erie Railway also offers various passenger car services, including railcars for charter, storage for private cars, and repairs and rebuilds. Visit the M&E's passenger site at www.mepassenger.com.